Thaicom, operator of five satellites, said the Asia Pacific continues to have fierce competition in the satellite communications market. Credit: Thaicom. WASHINGTON — Thai satellite operator Thaicom logged a second year of declining revenue, but trimmed losses by selling its stake in a local telecom provider. Thaicom, which operates five satellites covering the Asia-Pacific, reported 6 billion baht ($190.6 million) in revenue for 2018, a decrease of 10.2 percent from the year prior. Despite the decline, Thaicom swung back to profitability after selling its 42 percent stake in CS Loxinfo Public Company Ltd, a domestic provider of internet, data center, and satellite services. Thaicom said the 1.95-billion-baht sale boosted profits to 230 million baht for 2018. A weak television broadcast market drove Thaicom to a 2.65 billion baht loss in 2017, the company said last year. Thaicom said “fierce competition” continues to make the satellite communications market difficult. More than a dozen satellite operators compete for business in the Asia-Pacific while new entrants continue to appear, including Bangladesh with the Bangabandhu-1 satellite that launched last year, Singapore-based Kacific, whose Kacific-1 condosat launches this year, and domestic startup mu Space, which plans to launch a so-far-unordered satellite in 2021. Price erosion from this competitive landscape drove revenue from Thaicom’s four conventional satellites down 4.3 percent to 3.57 billion baht despite “consistent utilization,” Thaicom said. 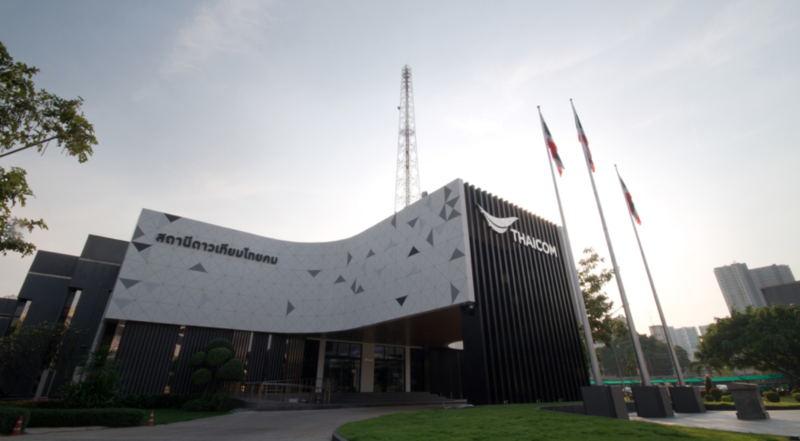 Revenue from Thaicom’s aging high-throughput satellite IPstar saw a steeper 16.9 percent decline to 2.28 billion baht that the company attributed chiefly to the “churn of major customers during 2017.” Thaicom is considering extending the life of IPstar, which was widely considered to be the first-ever high-throughput satellite when it launched in 2005. Thaicom CEO Anant Kaewruamvongs said the company will “utilize next generation satellite technology and seek international partnerships including joint investment” to reduce investment risks and dependence on Thailand’s “concession scheme,” which requires the company to give part of its revenues to the country’s Ministry of Information and Communication Technology. Kaewruamvongs said Thaicom will also explore providing more satellite consultancy services, system integration work and activity outside the satellite sector. “Moving forward we will venture into new business areas with a focus on digital and future technologies to diversify the Company’s portfolio and reliance on the satellite business,” he said in a statement.